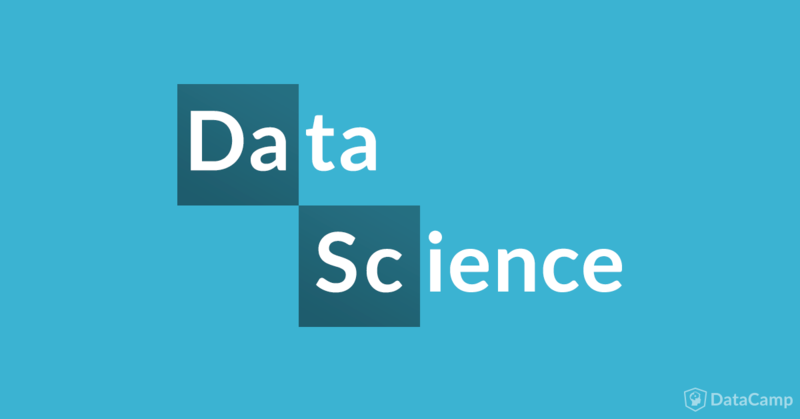 The 150+ companies, resources, and tools that define the data science industry. This periodic table can serve as a guide to navigate the key players in the data science space. The resources in the table were chosen by looking at surveys taken from data science users, such as the 2016 Data Science Salary Survey by O'Reilly, the 2017 Magic Quadrant for Data Science Platforms by Gartner, and the KDnuggets 2016 Software Poll results, among other sources. The categories in the table are not all mutually exclusive. You'll see that on the table's left-hand section lists companies that have to do with education: here, you'll find courses, boot camps, and conferences. On the right-hand side, on the other hand, you'll find resources that will keep you up to date with the latest news, hottest blogs and relevant material in the data science community. In the middle, you'll find tools that you can use to get started with data science: you'll find programming languages, projects, and challenges, data visualization tools, etc. Courses: for those who are looking to learn data science, there are a bunch of sites (companies) out there that offer data science courses. You'll find various options here that will probably suit your learning style: DataCamp for learning by doing, MOOCs by Coursera and Edx, and much more! Boot camps: this section includes resources for those who are looking for more mentored options to learn data science. You'll see that boot camps like The Data Incubator or Galvanize have been included. Conferences: learning is not an activity that you do when you go on courses or boot camps. Conferences are something that learners often forget, but they also contribute to learning data science: it's important that you attend them as a data science aspirant, as you'll get in touch with the latest advancements and the best industry experts. Some of the ones that are listed in the table are UseR!, Tableau Conference and PyData. Data: practice makes perfect, and this is also the case for data science. You'll need to look and find data sets in order to start practicing what you learned in the courses on real-life data or to make your data science portfolio. Data is the basic building block of data science and finding that data can be probably one of the hardest things. Some of the options that you could consider when you're looking for cool data sets are data.world, Quandl, and Statista. Projects & Challenges, Competitions: after practicing, you might also consider taking on bigger projects: data science portfolios, competitions, challenges, ... You'll find all of these in this category of the Periodic Table of Data Science! One of the most popular options is probably Kaggle, but also DrivenData or DataKind are worth checking out! Programming Languages & Distributions: data scientists generally use not only one, but many programming languages; Some programming languages like Python have recently gained a lot of traction in the community and also Python distributions, like Anaconda, seem to find their way to data science aspirants. Search & Data Management: this enormous category contains all tools that you can use to search and manage your data in some way. You'll see, on the one hand, a search library like Lucene, but also a relational database management system like Oracle. Machine Learning & Stats: this category not only offers you libraries to get started with machine learning and stats with programming languages such as Python, but also entire platforms, such as Alteryx or DataRobot. Data Visualization & Reporting: after you have analyzed and modeled your data, you might be looking to visualize the results and report on what you have been investigating. You can make use of open-source options like Shiny or Matplotlib to do this, or all back on commercial options such as Qlikview or Tableau. Collaboration: collaboration is a trending topic in the data science community. As you grow, you'll also find the need to work in teams (even if it's just with one other person!) and in those cases, you'll want to make use of notebooks like Jupyter. But even as you're just working on your own, working with an IDE can come in handy if you're just starting out. In such cases, consider Rodeo or Spyder. Community & Q&A: asking questions and falling back on the community is one of the things that you'll probably do a lot when you're learning data science. If you're ever unsure of where you can find the answer to your data science question, you can be sure to find it on sites such as StackOverflow, Quora, Reddit, etc. News, Newsletters & Blogs: you'll find that the community is evolving and growing rapidly: following the news and the latest trends is a necessity. General newsletters like Data Science Weekly or Data Elixir or language-specific newsletters like Python Weekly or R Weekly can give you your weekly dose of data science right in your mailbox. But also blogging sites like R-Bloggers or KDnuggets are worth following! (Note that these two also have newsletters that you can subscribe to keep up with the latest in the data science community). Podcasts: last, but definitely not least, are the podcasts. These are great in many ways, as you'll get introduced to expert interviews, like in Becoming A Data Scientist or to specific data science topics, like in Data Stories or Talking Machines!